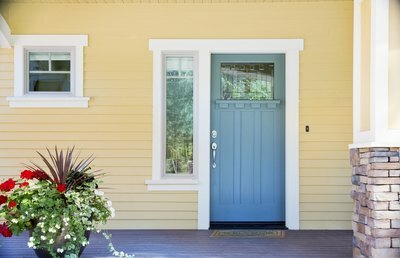 A cottage with curb appeal should employ at least three colors in its palette: the field -- or main -- color, the trim, and the accent color or colors. 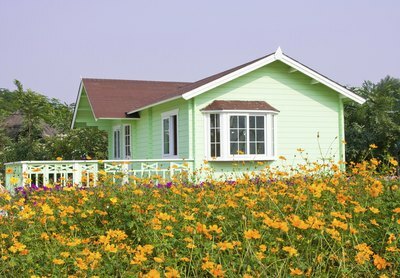 The environment where the cottage resides also plays a major factor when you choose its color scheme. A beach setting calls for a different palette than a country or mountain cottage might. 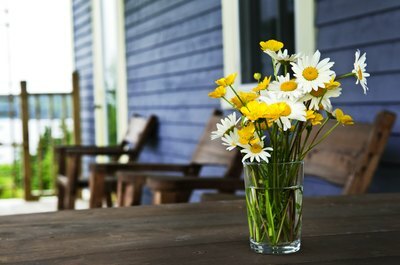 But nothing matters more than how you feel about the colors you pick for your cottage. Take the time to choose wisely so you don't have to repeat your efforts. Consider the two most important elements of a cottage when you contemplate its color scheme -- its neighborhood and its architectural style. Examine the houses on your street for appealing color schemes. Cottages in Florida, for example would look good in exterior colors from an Art Deco palette, a theme of much of the architecture in the state's coastal cities. 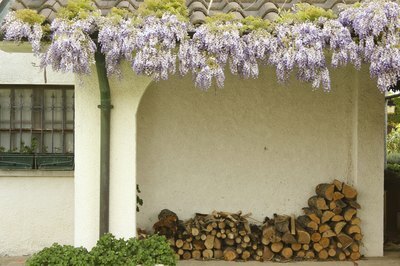 Let the cottage's historical architectural style inform your color decision, as these never fail. New England Cape Cod cottages for example, look best in gray, trimmed in white or a white accented with dark slate gray, and accented in rain-sky gray. The Tudor and English cottages found among the beach communities of Southern California often include an exterior made from stucco, accented by dark wood trim. Choose a paint color scheme in eggshell, mushroom or taupe for the stucco, and add a chocolate brown for contrast on the trim. If portions of the house include brick or stone, paint the stucco cream or a light latte or cappuccino, but add dove gray to the wood trim to soften the red in the bricks. Craftsman cottage and bungalows were built all over the United States during the Arts and Crafts heyday, which lasted up to as late as 1930. With large covered porches and columns supporting them, the exteriors were covered with wood and often included exterior stone or brick work. 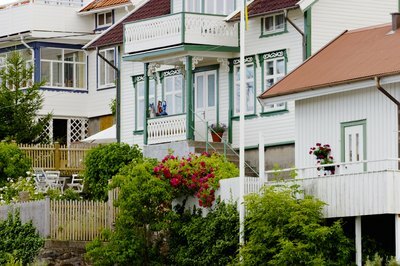 Color choices for these cottages abound, from rusty reds and burnt umbers to soft grays, blues and palm green. Depending on the color scheme, white or tints of the original color work as a trim color, with accents in a dark or lighter contrasting color or a color pulled from the stone or bricks. White doesn't have to be boring -- it's always a good color choice for a cottage. But to jazz it up, add color in your trim and accents. A white cottage with a gray-shingled roof welcomes a hint of color in peach or pink trim. An all-white cottage with a hint of blue gets a lift from a teal door and trim, with blue-green shutters on the windows. When choosing the colors for your cottage, don't forget the roof's color, as it's just as much a part of the color scheme as everything else.